We all know what hashtags can do… right? 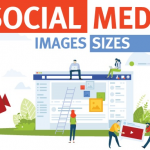 The modern-day hashtag originated on Twitter and they have worked their way across most of the social platforms that you are on today, including Instagram. Hashtags are a part of our lives now- both personal and business accounts can utilise them. If you’re not using them, you aren’t using social media platforms to their full potential. Social Media Marketing utilises these hashtags to boost brand awareness and engagement. In turn, this increases sales and profit, but what can go wrong? Instagram has been releasing several algorithm updates which have been drastically reducing engagement rates and sales by as much as 50%! But there may another reason behind this low point for Instagram accounts. What is the ‘Shadowban’ though? Instagram wants to reduce the amount of spam the platform receives. They are actively working on ways to reduce it without changing the way we use the app. This is where the ‘Shadowban’ comes in. In Instagram’s mind, anybody who is being repetitive and posting similar content regularly, which includes the use of the same hashtags, must be a bot or spammer. They want to cause these accounts to be practically invisible to the public so that they can’t reach new people. 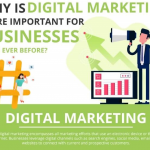 However, there are several niche markets on Instagram who need to use the same hashtags regularly and want to keep their followers up to date several times a day. These markets include home décor accounts, photography accounts, gaming accounts and businesses that only sell a limited number of products. How can I avoid the ‘Shadow Ban’? 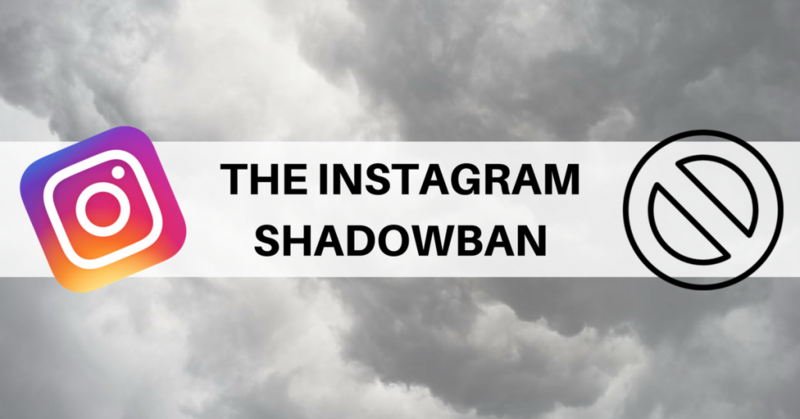 Although Instagram has not released a full statement on the ‘Shadowban’ and what can and can’t cause it, it is largely reported that it’s your own actions that cause them and how ‘spammy’ these actions are. Instagram is stopping these accounts that have been acting ‘spammy’ by giving them a ‘Shadowban’. This ‘Shadowban’ stops your photos from being seen on the explore page or in hashtag searches. Annoyingly, this means the only people that can see your post are your current followers. With Instagram’s recent algorithm change, however, this is having a detrimental effect on smaller accounts. To find out if you are being affected by the ban, or if it’s just the new algorithm updates taking its toll on your account, you can find or create a couple of accounts that do NOT follow your account. You should get them to search for the most recent hashtags that you have used. If you are not showing up in the most recent images on these searches, then your account may be targeted by this ban. There is also the possibility that only a few of the hashtags that you are using are not showing your photos. But what would deserve a ‘Shadowban’? The first reason, that we touched upon previously in this post, is the repetitive use of the same hashtags or banned hashtags. Yes, we know this can be difficult to avoid, especially when you’re in a niche market. But trying new hashtags on your post is better than not being able to reach anybody… right? Who knows, you may find out you’ve been using the wrong ones all along, or the accounts you engage with are also trying to find new hashtags to use. Another repetitive action that doesn’t happen too often, but is still a ‘spammy’ action in Instagram’s eyes, is posting too many photos in a day. The golden number would be 1-4 times a day. However, people have been reporting that their accounts have been issued with a ‘suspicious activity’ warning after 5 posts in a short amount of time. This warning comes with the unfortunate bonus of not being able to upload any photos to Instagram for around 24 hours. Think of your account as a fire. You need to feed it to keep it growing, but if you put too much wood on top you will suffocate the flame. Instagram has an hourly limit to how active you are on your account. If you keep hitting this hourly limit, you can be issued with the ‘Shadowban’ or even have your account removed for being ‘spammy’. 1. Change the way you are using your account. This may be to stop sending irrelevant direct messages to your followers or even changing what content you are sharing. 2. Do not use Instagram for your business if it is against Instagram’s guidelines and/or causing offence. And remember, with Instagram’s API, you cannot get away with using bots for long. This includes tools to boost your followers and engagement and tools that you can use to schedule posts. This is not to be confused with tools like Social Report who send the post to your phone to upload via the Instagram app. Instagram wants to stay as a predominantly app only platform, so any tool that takes you away from using the app for your main Instagram usage has the possibility of getting you a ban! Did you know Instagram has banned over 300 hashtags? Instagram has banned over 300 hashtags! A lot of these are obvious, but there are some that we see people use every day without realising it could be causing them to be banned. Contact us today to find out if your using the wrong hashtags and speak with one of our Instagram specialists to see how we can help you get more from your Instagram business account.